Description : Here we have the 6 page American closed circuit venue souvenir fight program. 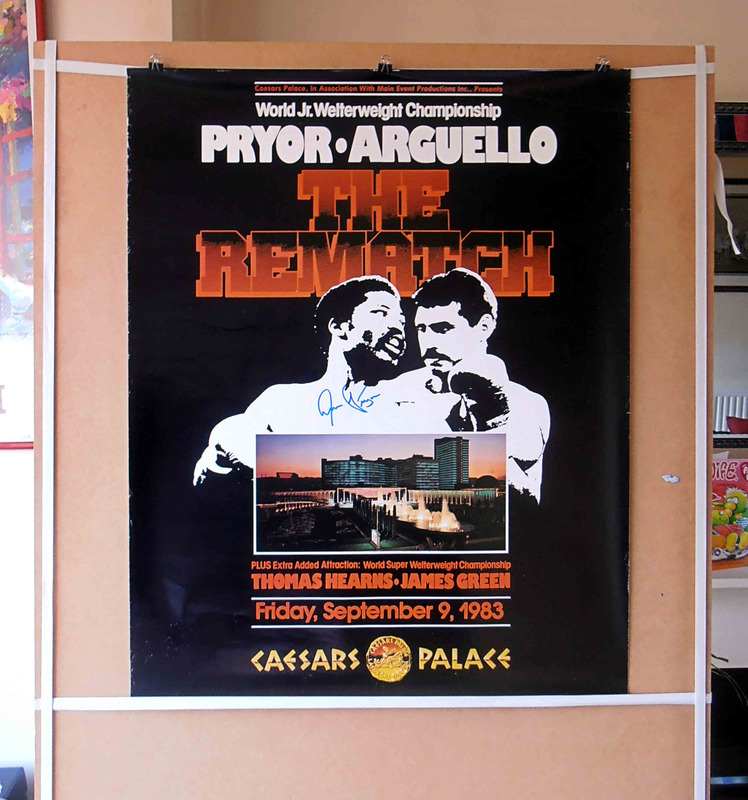 After the controversy of the 1st fight with regard to the "Black Bottle" incident, Alexis Arguello got a rematch with Pryor at Caesars Palace in Las Vegas, Nevada on September 9, The rematch was not as competitive as their first one. It looked as if father time had called time on Arguello after he left everything in the ring in that 1st fight. 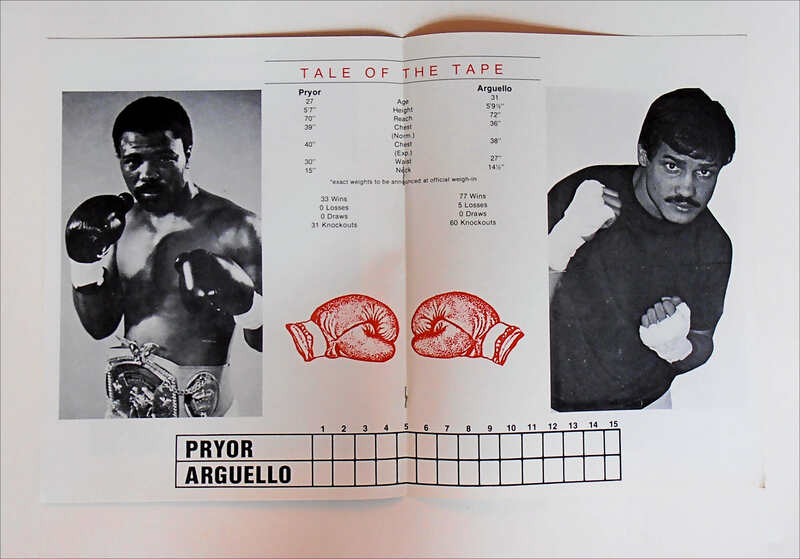 Pryor dropped Arguello with a right cross in the first round and again with a left hook in the fourth. Pryor put Arguello down for the count in the tenth round as Alexis just sat there staring into space & decided that enough was enough. 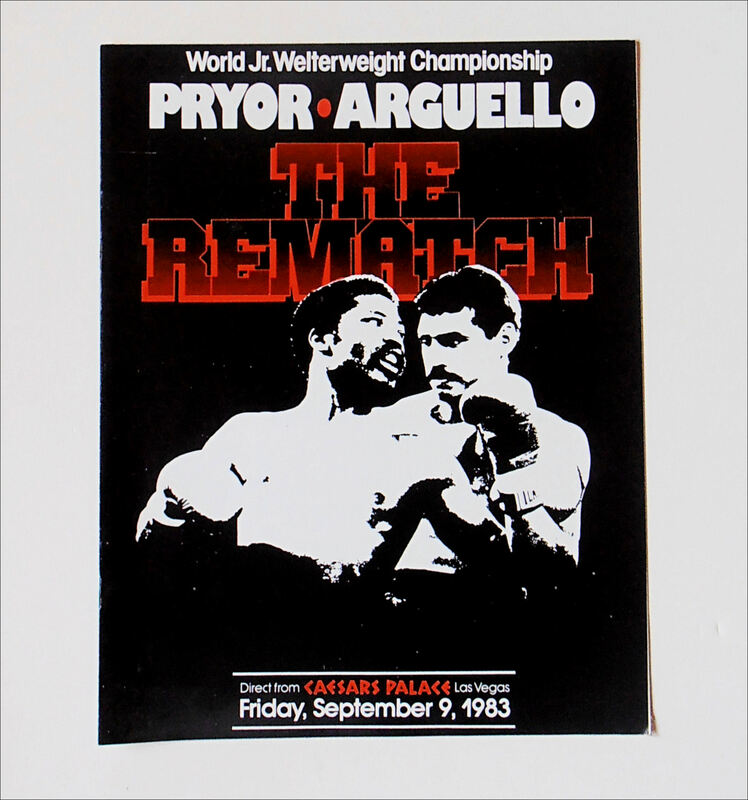 After the fight, both Arguello and Pryor announced that they were retiring from boxing. Postage: £5.00 Special Delivery... £20.00 International.